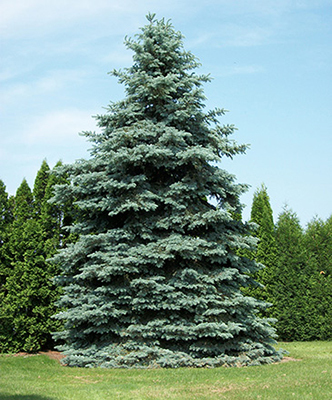 Slow growing, coniferous evergreen with blue/blue-green needles and stiff pyramidal habit. Maintains tight growing habit. Stately landscape specimen.